screen,changer,for,recycling,processes,operation,screen, - Batte Machinery Zhengzhou Co,.Ltd. 1.screen changer for recycling processes of the filter must be installed properly, not too large nor too small. 2.screen changer for recycling processes of the front and rear of the screen changer must be cleaned out. Clean up as much as possible copper cleaning. 3. In the process of changing the network to be in place. Do not need to pause in the process of changing network. 4. As much as possible when changing network shut down, otherwise easily damaged equipment. 5. 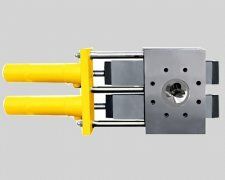 When switching on the net when the production speed should be reduced after the replacement, to replace the tube to make a good mark (must be considered a good number of meters, for some pipe when the network will be thinning, thinning into the cutting machine Should be cut off in time). 6. When the melt pressure is 20% higher than the melt pressure at startup, the filter should be replaced in time. 7.screen changer for recycling processes of Operation Screen changer The remote control must be completed by one person. 8. In any case, it is not allowed to assemble and dismantle the filter blocks and adjust the structural parts when the pump motor rotates. 9. Take jammed mesh, you can not use the reciprocating board as a fulcrum to pry the filter out. 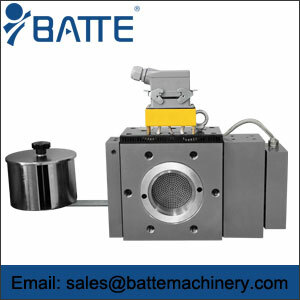 Batte Machinery Zhengzhou Co,.Ltd. 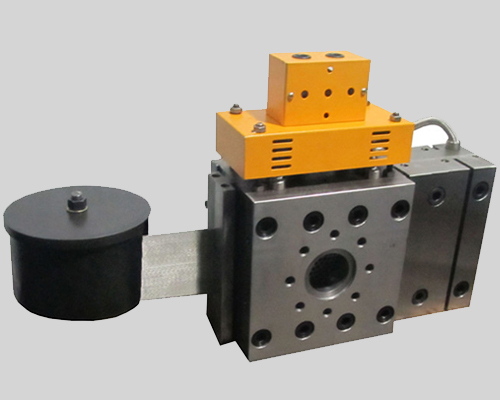 is a professional manufacturer of Melt pumps,Loss-in-weight Feeder,Screen changer. 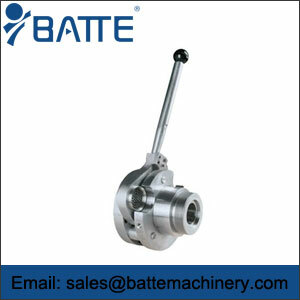 The main products are Melt pump,Loss-in-weight Feeder,Screen changer and gear pumps ,metering pumps,Batte has accumulated abundant experience on the application technique of melt pumps since we manufacture pumps professionally. Recently according to the development trend of melt pumps application all over the world, especially in the field of precise plastic extrusion, we have done extensive research on the pump operation performance, practical function, equipment structure and control technology and achieved regular achievements.